Ever wonder what your colleagues do outside of the library? Many of us have hobbies, intellectual and athletic pursuits, a travel bug, the desire to write or cook—you name it. We all live lives beyond the stacks, of course, but some of us do things that may surprise coworkers and patrons. In Episode 30, we explore these secret lives of librarians. 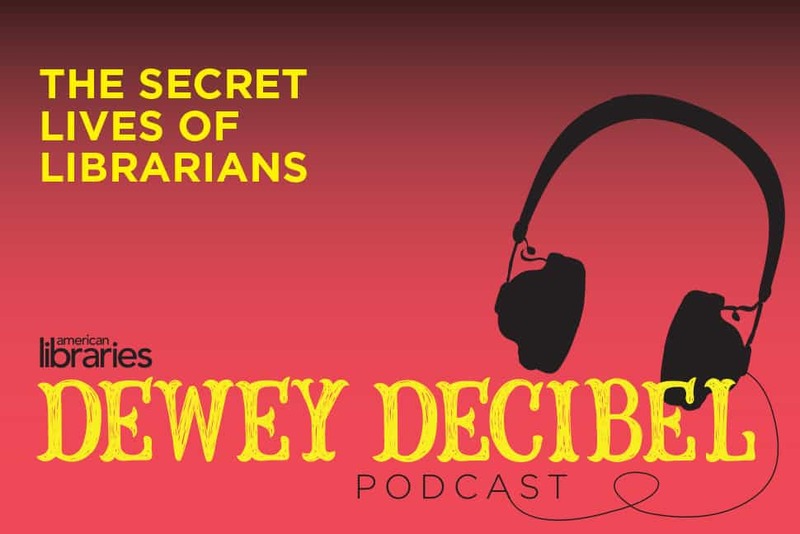 First, American Libraries Associate Editor Terra Dankowski speaks with Adela Justice, senior librarian at University of Texas MD Anderson Cancer Center in Houston, who’s a former Texas reserve deputy and the bassist in rock and blues bands. 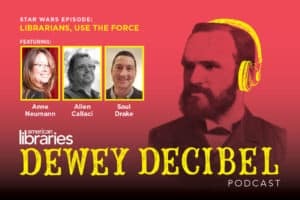 Next, American Libraries Associate Editor and Dewey Decibel host Phil Morehart talks with Sarah Ramsey, media specialist at Central High School in Knoxville, Tennessee, who works as a certified life coach in her off hours. 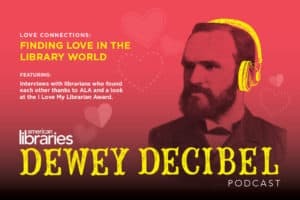 Finally, Dankowski speaks with Susan Maguire, senior editor, collection management and library outreach, adult books, at Booklist, who writes the Librarians in Love romance novel series under the pseudonym Sarah Title. Maguire also reads a passage from one of her books.